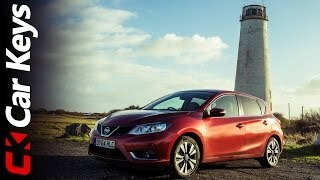 Nissan marks the return of Compact car segment with unveil of Nissan Pulsar 2015. Looking at the pictures and details furnished it feels like they are well prepared to compete with this fast growing automotive market and with this release is striving to cover the daily users through sufficient space and better fuel economy. 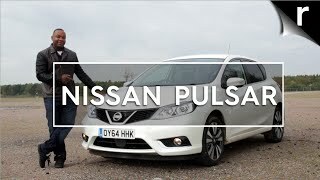 Let us have a look at the review of Nissan Pulsar 2015 to know it better. The interior of Nissan Pulsar 2015 especially the rear leg room is far more than other vehicles we often come across. Not only this, if we are talking about space we must not forget the space they are offering with their large trunk. Talking about cabin you might get a bit disappointed looking at lot of plastic flanking around with very less chrome inserts. It looks like the chrome inserts are added very wisely, maybe like the last few drops of ketchup and marks its presence over the center console and steering wheel. Looking at the dashboard might make you feel delighted with its blue piece running on each side of the console marking its boulevard till the door panels. Talking about technological upgrades you have, Forward Emergency Braking, Moving Object Detection marking presence in the safety section, while the NissanConnect system which comes with smartphone integration makes your drive smooth and full of entertainment. 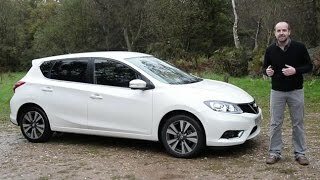 The exterior of Nissan Pulsar 2015 carries the design language which we have seen in recent releases. Starting with the front fascia you have the iconic V-motion grille which is also the trademark design of company. Hood comes with sharp creases and across its nose portrays curved-L shaped LED lights. 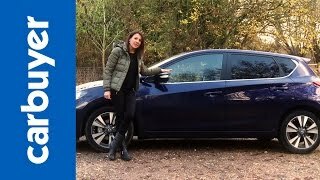 Moving towards the side glance of Nissan Pulsar 2015 you’ll notice splattering aggression through the bold lines that connect front fenders with rear bumper and taillights. 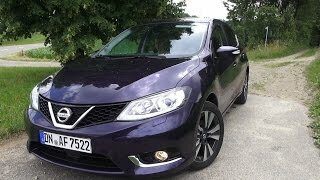 Apart from these, rest all is the trademark pattern which Nissan is following since its last few models and being loyal we don’t find any harm in it; reason being this isn’t what Nissan Pulsar 2015 is primarily about. Beneath the hood of Nissan Pulsar 2015 you have three powertrain options. First in this list is a 1.2 Liter DIG-T engine generating total output of 113 hp, second is a 1.5 liter dCi generating 108 hp and peak torque of 260 nm while the last which is set to come by the end of year is a 1.6 Liter turbocharged spanking 187 hp. Each of these engines come paired to six-speed manual transmission.